Emilia is Baby Black Widow. I love doing a themed for my group for Halloween. 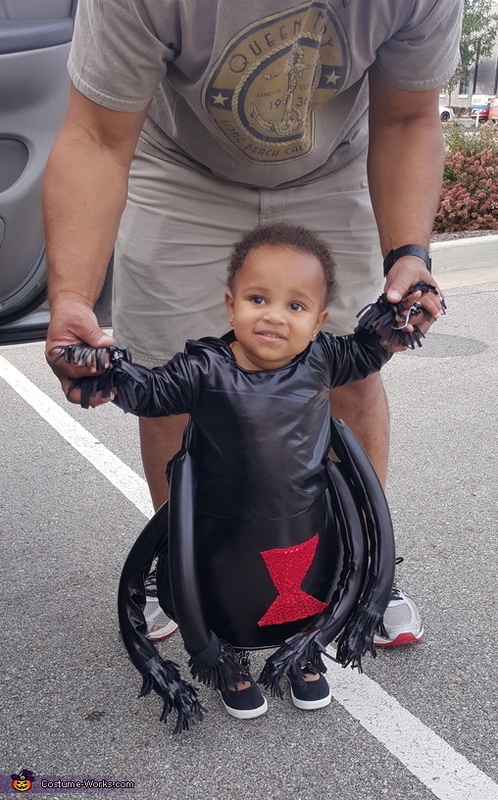 My son was a Tarantula so ideally she would be such a cute Black Widow. I used a spandex faux latex for her suit and lined it with foam and fleece for warmth. Her legs were made from pipe insulation covers and I inserted picture hanging wire in each leg for the arch in the legs. The eyes were sequined buttons.